Detailing those hazy rocker panels. After a wash job, I decided to blacken my '14 i3 tires. When finished, I wanted to "wring out" the "Forever Black Tire Gel (from Bavarian Auto in NH) sponge applicator before washing it out with soap and water for storage. Earlier, I had treated the matt-finish rocker panels with BMW (Motorad) Road Tar Remover, but they still looked cruddy gray rather than true black. So, I pressed the Forever Black sponge applicator across the rockers to "wring out" the sponge and Presto! what a great job it did. They are finally black again (and typical BMW, there are two tones/surfaces of black down there). Now, the car finally looks as good as it did when I bought it two years ago. I highly recommend its great matte finish that lasts nearly forever. Great on pedals and dead-pedal foot rests too! 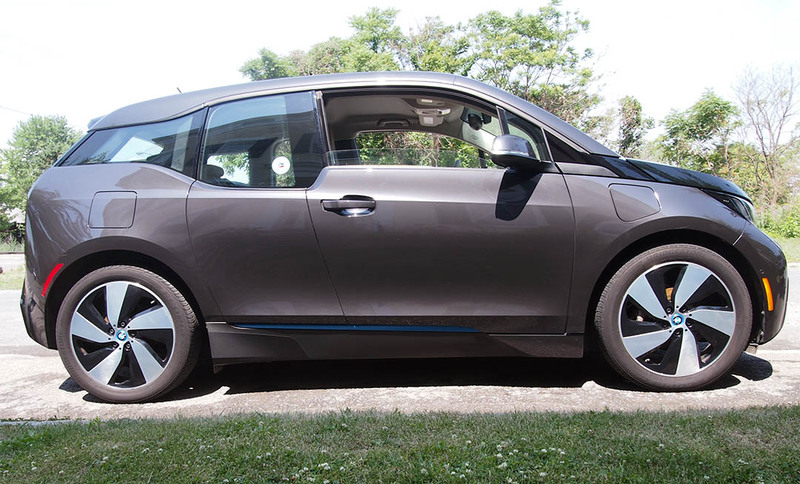 Below pic doesn’t look remarkable to anyone who isn’t familiar with the i3 rocker panel grunge-look….gone!